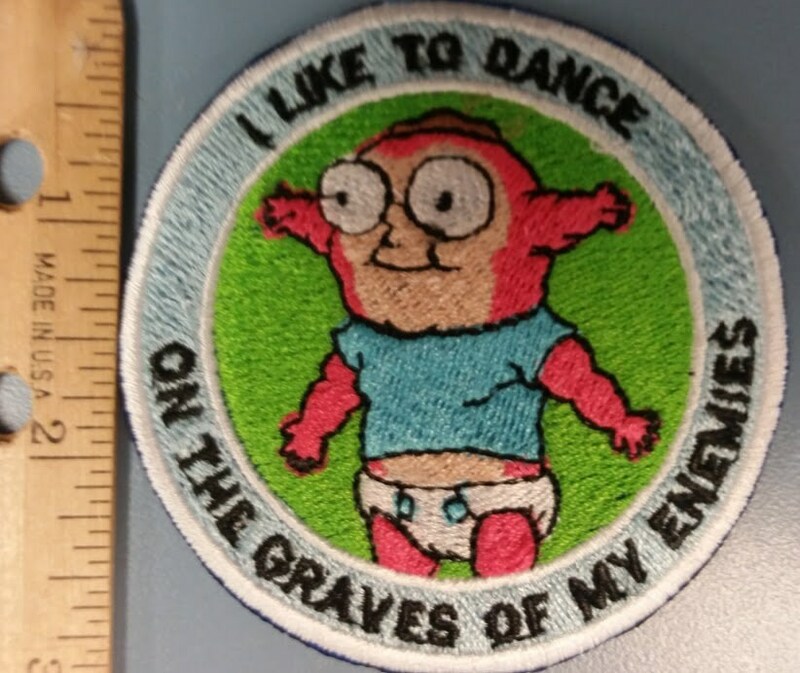 This Rick and Morty inspired patch measures approximately 3" in diameter. It is sewn with baby blue, lime green, pink, flesh, black, and pacific blue thread. The patch has an iron on adhesive to make application easier. 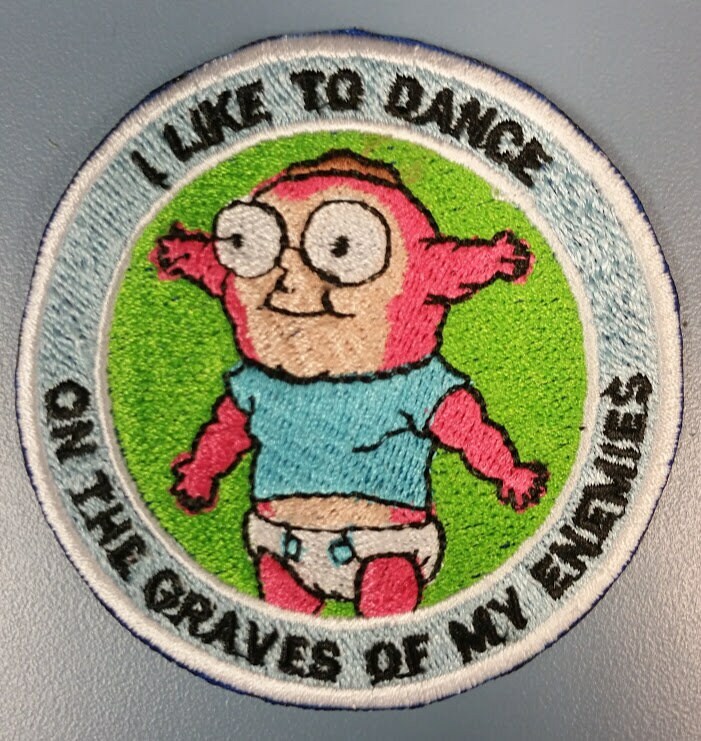 The text around the patch says I like to dance on the graves of my enemies. 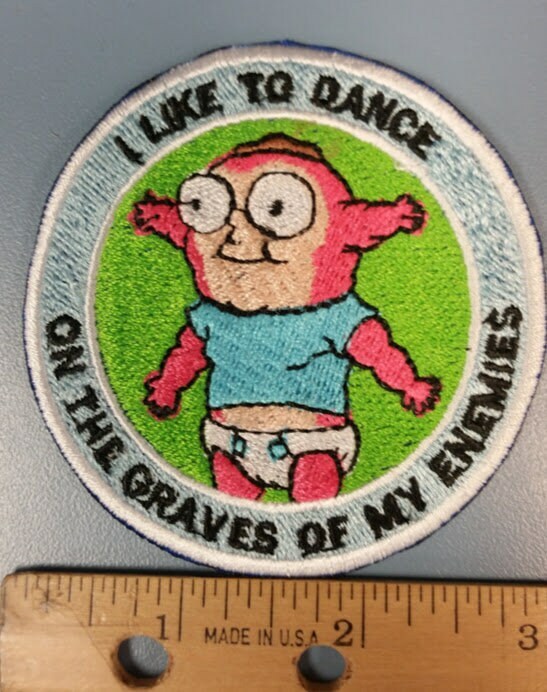 If you need a larger size patch, I can make it in 4" or 5", just send me a message if you'd like larger. Typically I mail the patches in 1-2 business days, but could be up to 5. This is so adorable! The stitching is tight, and the colors are so bright. Very well made-I love it!